For most of us, nutrition is probably the last thing on our mind. We are too busy, wake up too late, are trying to cram for a test, or whatever else to even think about getting breakfast. There are numerous studies that prove how breakfast can improve school performance and weight control. It also helps us improve on strength and engage in physical activity. Energy to Start the Day: Not getting enough protein? Waking up early and getting down to the dining hall to get some eggs can help us with that. Eggs contain protein, amino acids and are one of the few that also contains vitamin D. Not enough time to get down to dining hall? Cereal is a great way for us to get our whole grains. This is a great source of fiber, which is important healthy hearts. Breakfast Gives Us a Sharper Focus: You could have a 9:00am test and the last thing you want on your mind while you are test taking is food. 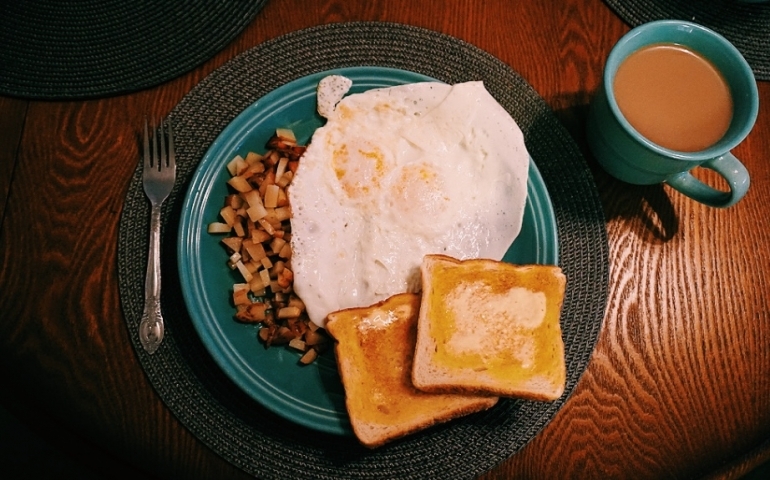 By waking up a few minutes early, you can have breakfast and be more productive and focused. Keeps Us from Overeating: I am guilty of this. Last semester when I wouldn’t have breakfast, I often found myself eating unhealthy snacks here and there that added up quickly. It is natural for us to end up eating more than we should if we skip breakfast and wait until lunch or dinner to eat. If you are not as hungry when you wake up, it is still better to some kind of portioned meal. This way we are not tempted to binge eat or snack, which can lead to unhealthy habits that are hard to break. I recently started a new routine where I wake up an hour and fifteen minutes early before my class starts to have breakfast. It has completely changed how productive I am during the day. Don’t let time be a reason why you are not getting breakfast. Something that my dad has always told my siblings and I when we said we didn’t have time for breakfast was “You didn’t make time.” I used to hate hearing that because it’s true! You “rearrange” your time for things, just like waking up a few minutes earlier to have breakfast.